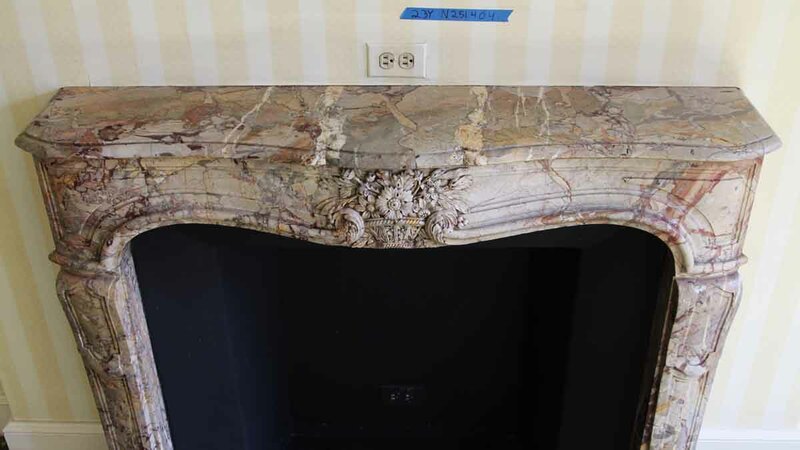 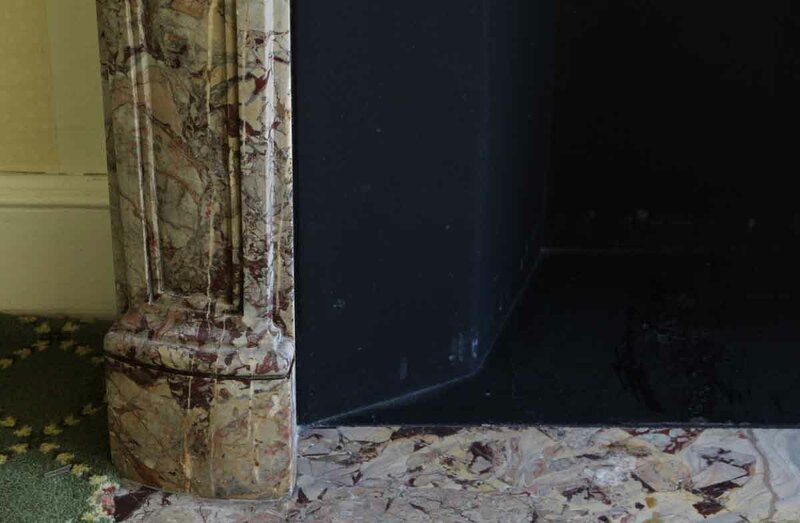 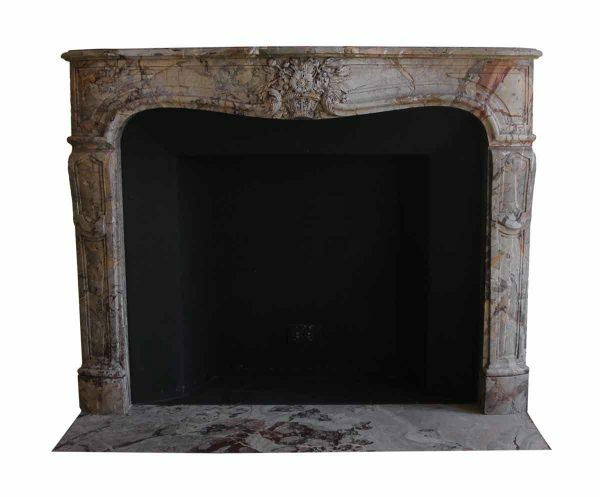 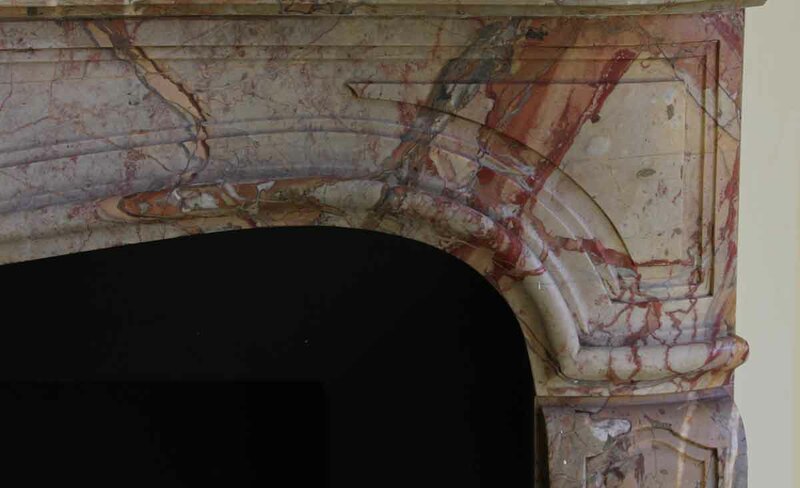 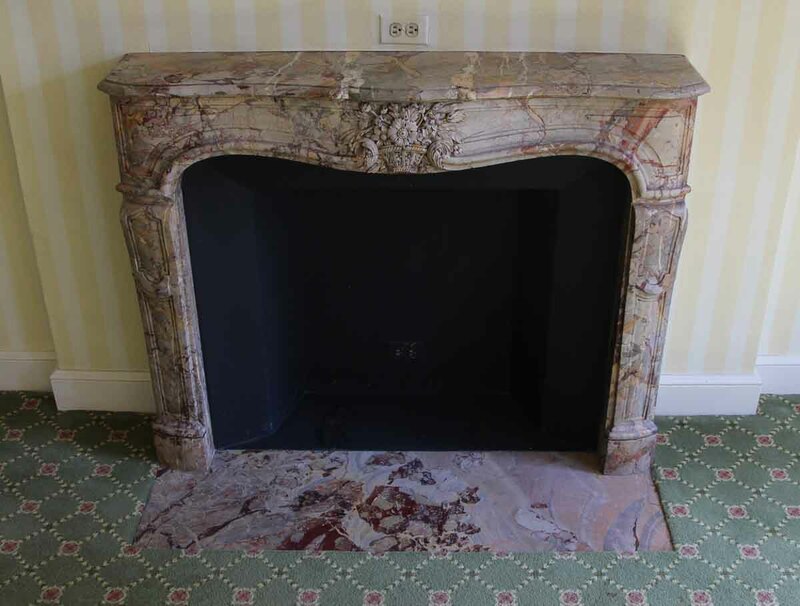 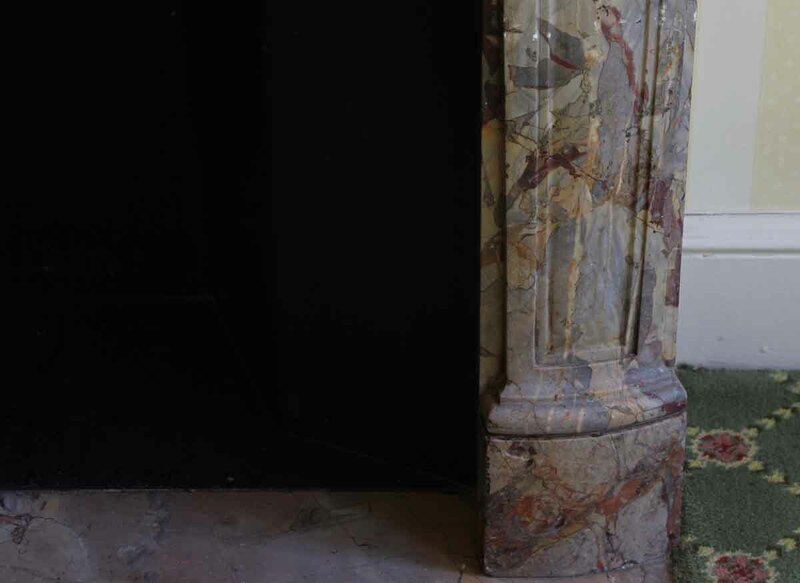 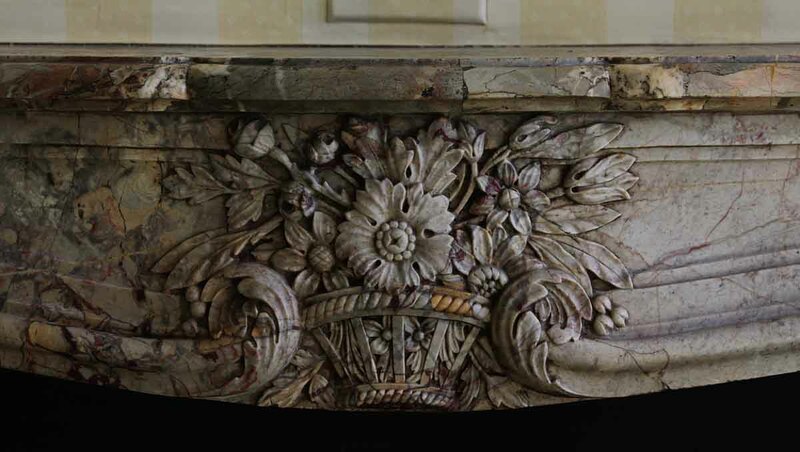 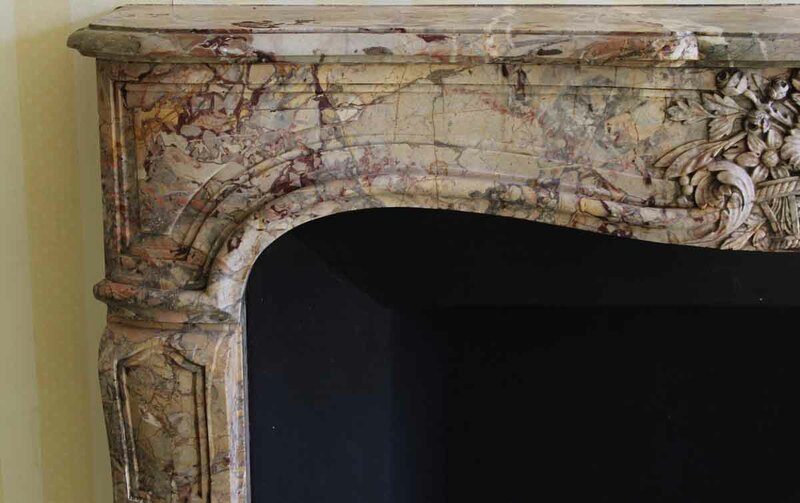 Louis XV French Rococo carved multi color marble mantel with a floral boutique motif and matching hearth. 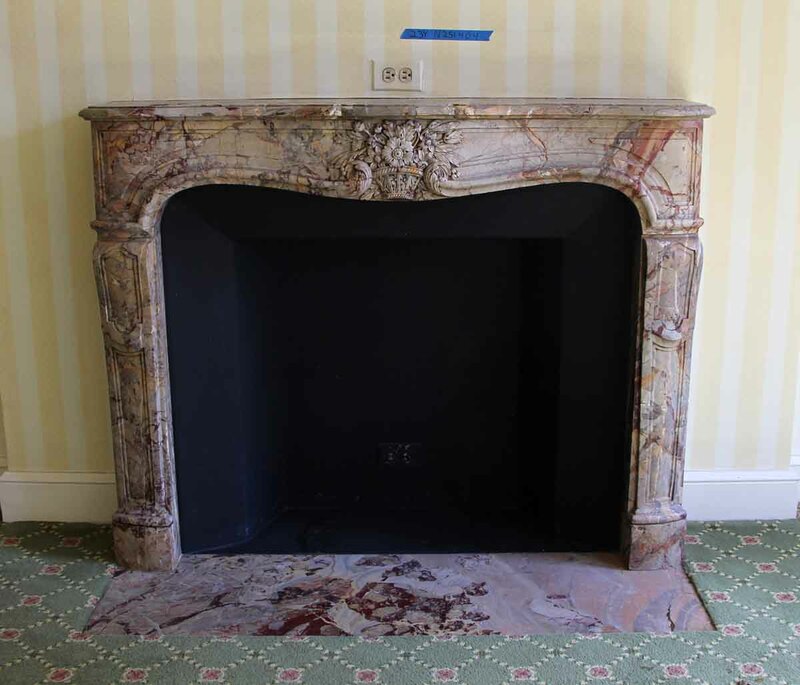 This mantel was imported from France and installed in the Waldorf Astoria hotel in the 1930s when the hotel was first built on Park Avenue. 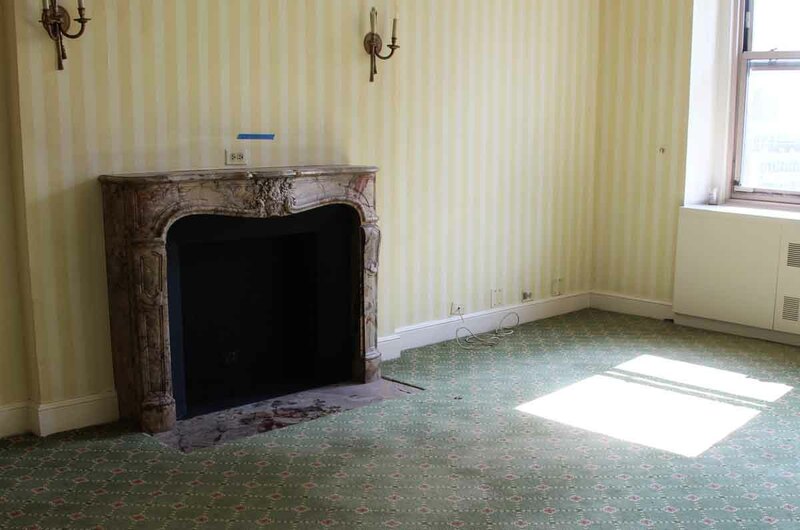 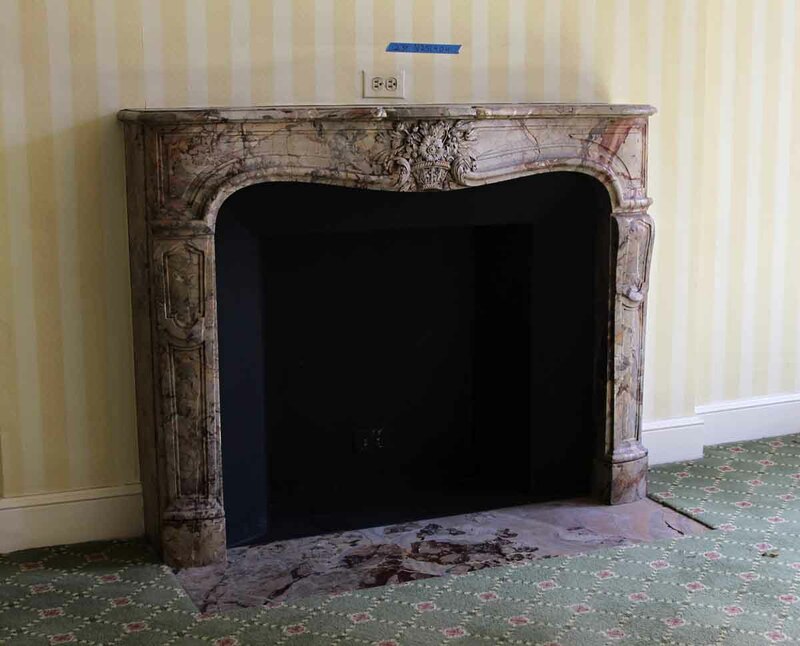 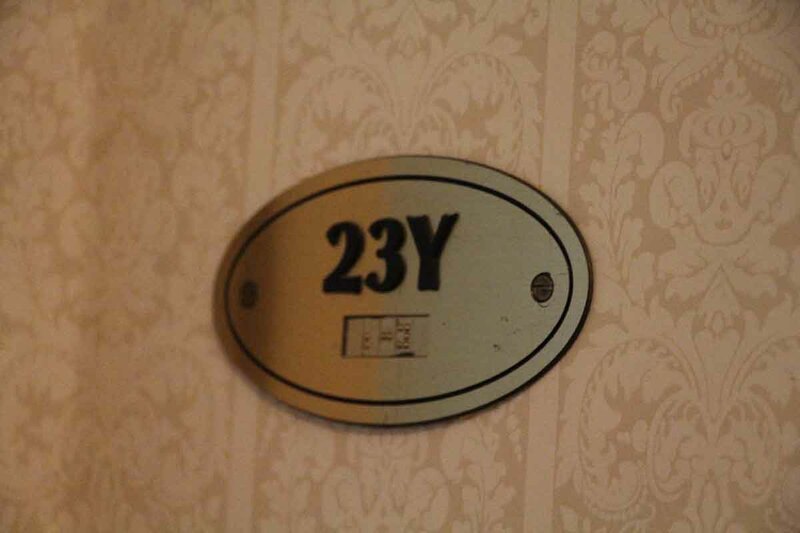 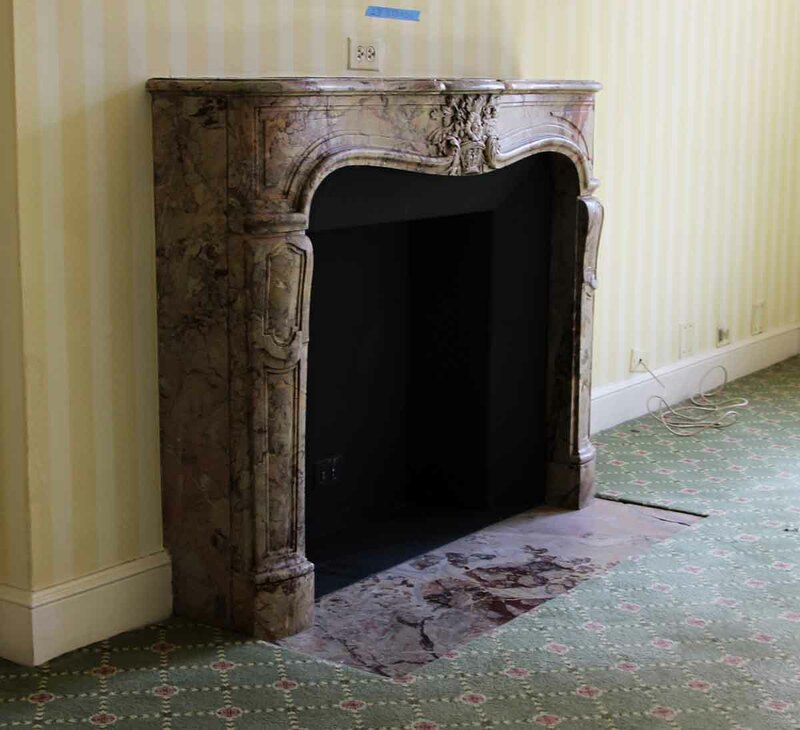 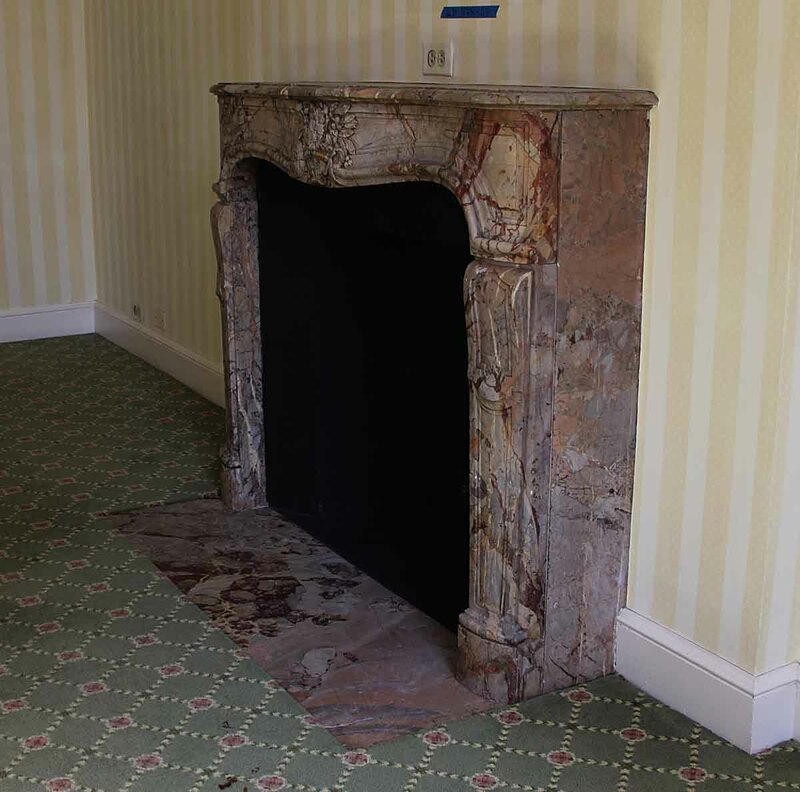 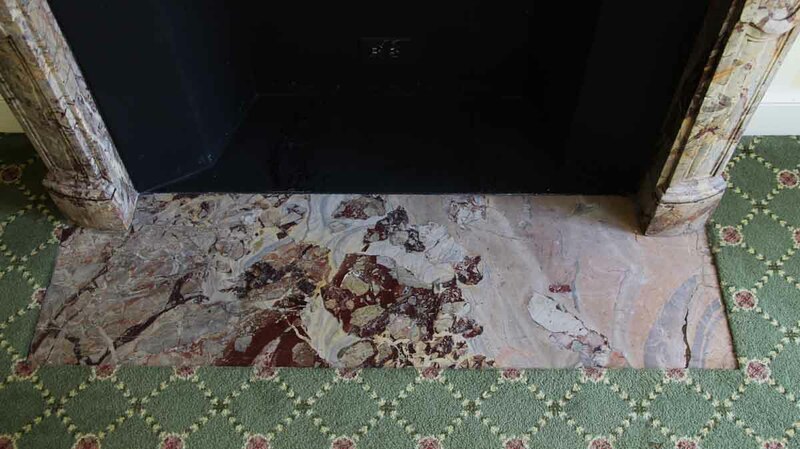 This mantel is original to Suite M of the 23rd floor.